I remember seeing a great picture of a cat reaching out from inside a tunnel that looked like it was playing with the wires on a telegraph pole. It may have been in one of the OGR magazines. Boy did I laugh when I saw that. I would love to see that picture again if someone can share it here on the forum. LOL. I love cats too. 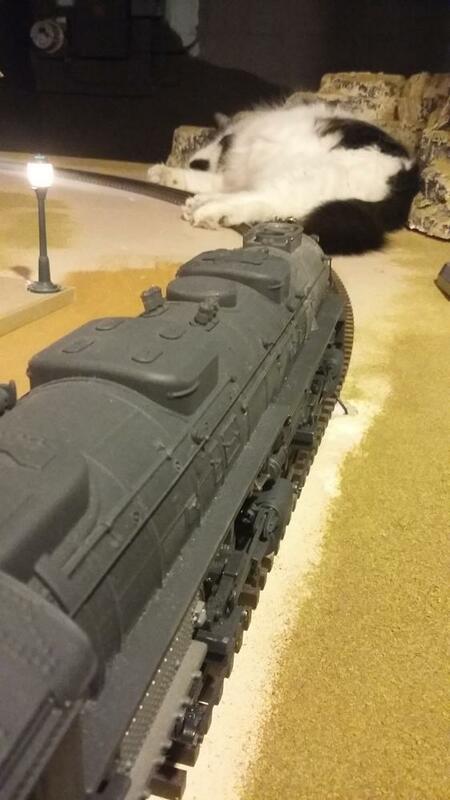 Keeping the cat hair vacuumed off the layout to keep it out of the engine gears keeps me pretty busy.